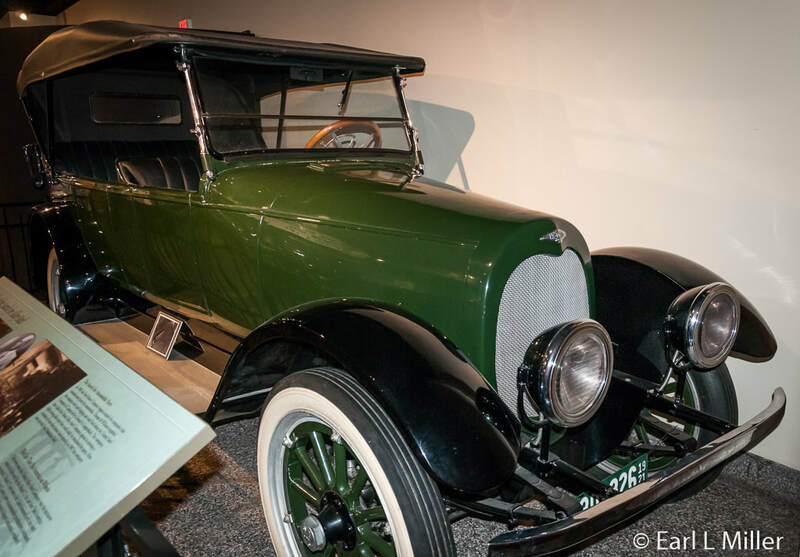 While in the Canton/Massillon section of Northeast Ohio, visitors may want to spend some time at three very different museums. 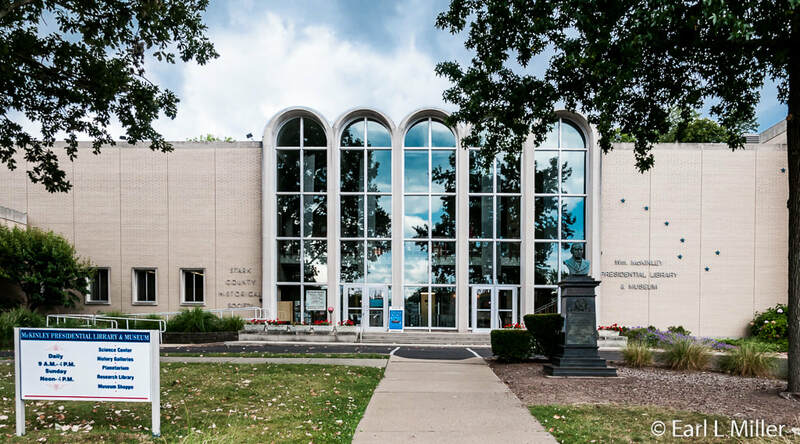 Canton’s McKinley Presidential Library & Museum covers the entire realm from art to nature while housing the largest number of President William McKinley artifacts. 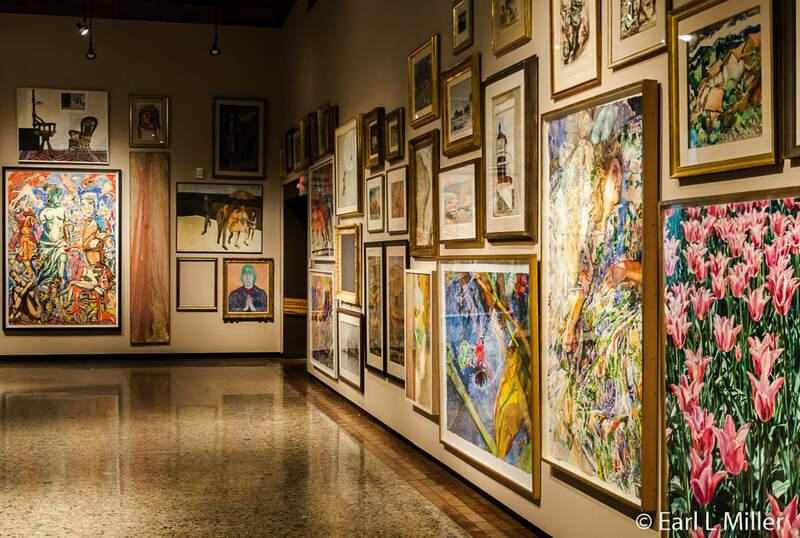 The Canton Museum of Art has shows ranging from art dealing with football to an extensive permanent collection of American ceramics and watercolors. 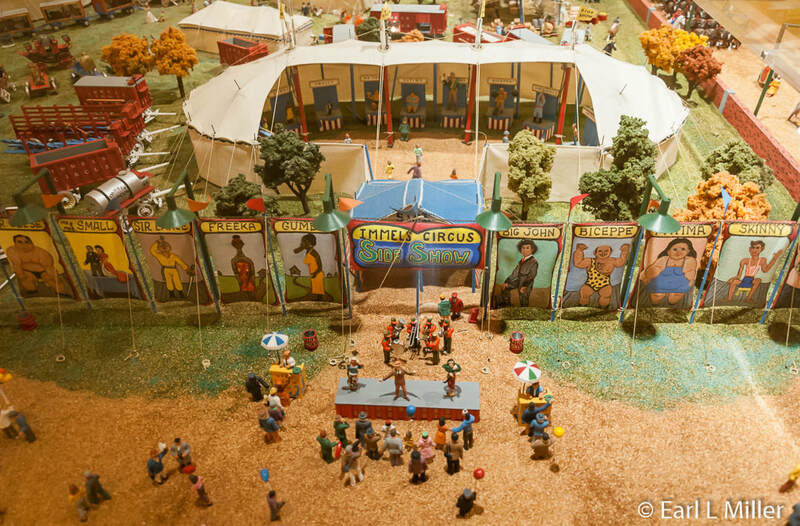 The Massillon Museum is well known for its Immel miniature circus collection of 2,620 pieces. 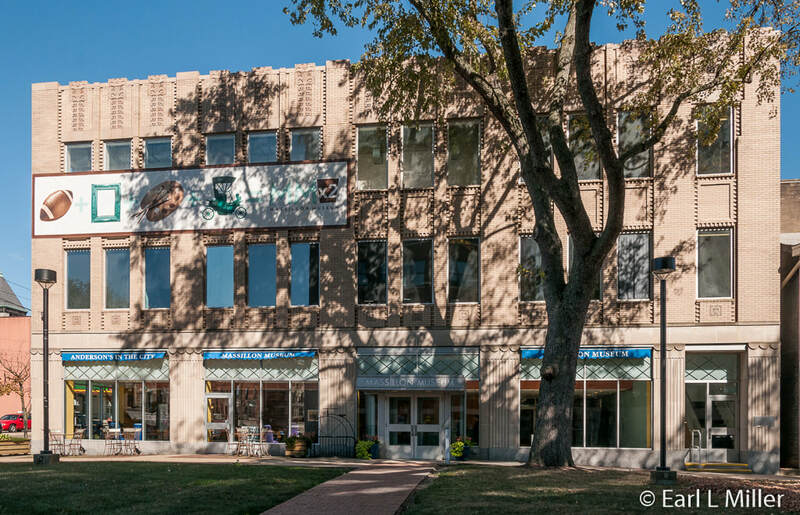 Two floors of displayed artifacts concentrating on local art and history have transformed a 1931 department store into the Massillon Museum. Its outstanding collections include photography, costumes, Native American pottery and baskets, the Pease Collection of ethnological and archaeological objects, decorative arts, quilts, and the Immel Circus collection. Local individuals and families have donated more than 100,000 historical objects. Currently, it is undergoing a $3.5 million expansion project to add a new auditorium and gallery as well as massive history exhibits. 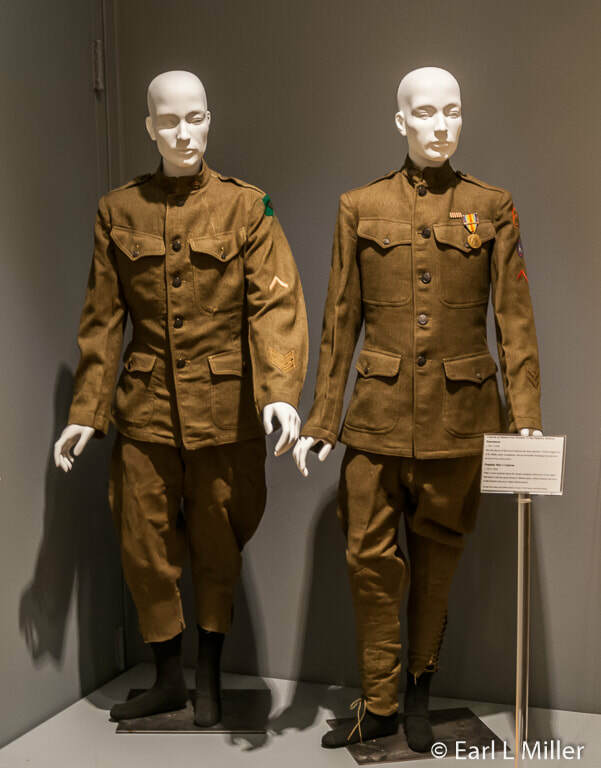 During our visit in September, the temporary display was on the Great War, World War I. It had posters from that era as well as uniforms, helmets, gas masks, and ditty bags from Cantonites who had served. They also exhibited a Remington bayonet, an M1903 American rifle, a piece of a wing from a German plane, and War Department letters. 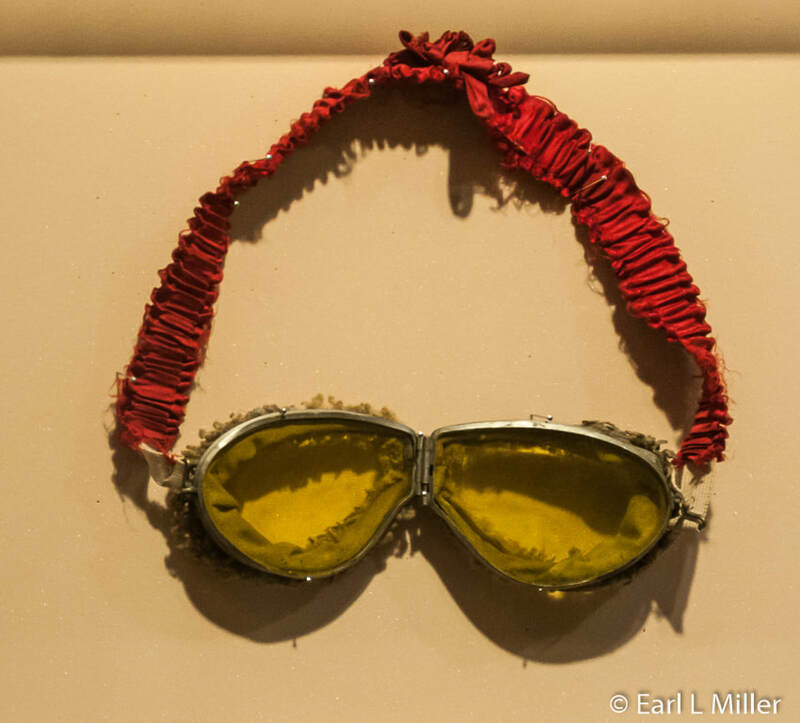 An extremely rare pair of aviator’s goggles was displayed as were two pieces of shrapnel composed of woody and metallic elements. The exhibit covered how Cantonites believed that some of the Germans who lived in the city were spies. To avoid harassment, people with German names Americanized them. The town of New Berlin, Ohio became North Canton. Effigies were burned. 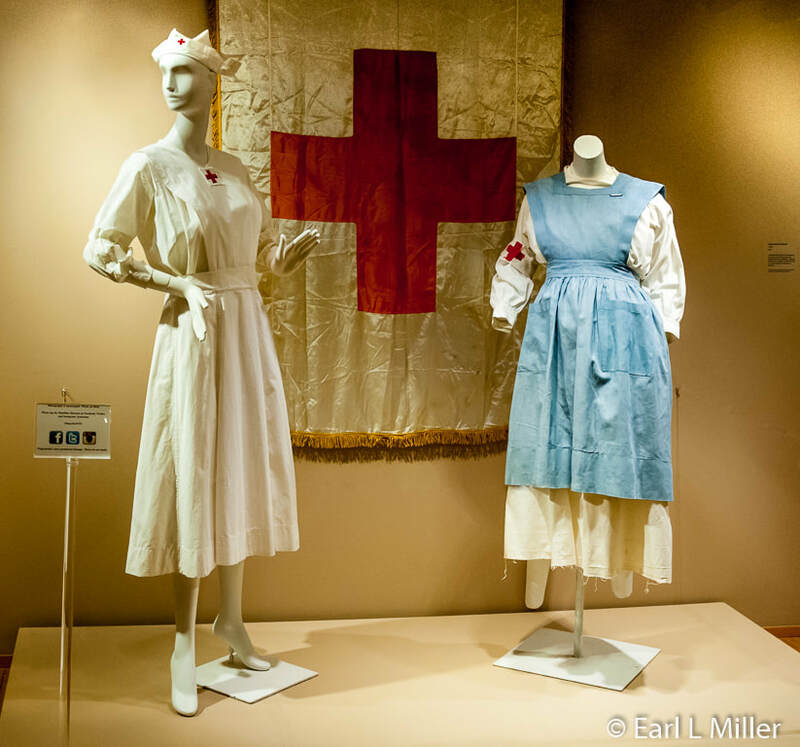 Another display was on the Red Cross and its contributions. A 30-minute documentary at the museum covered the war’s events through the oral histories of Massillonians. What was unique about the exhibit was that in addition to regular signage, 20 highlights of the World War I exhibit had Braille labels. These were composed of tactile models cast in aluminum. At the museum, the plan is to use braille labels on all future exhibits. The current display is the Stark County Artists Exhibition which is on through January 31. It has been an annual juried show for 30 years. Artists must either live or work in Stark County. 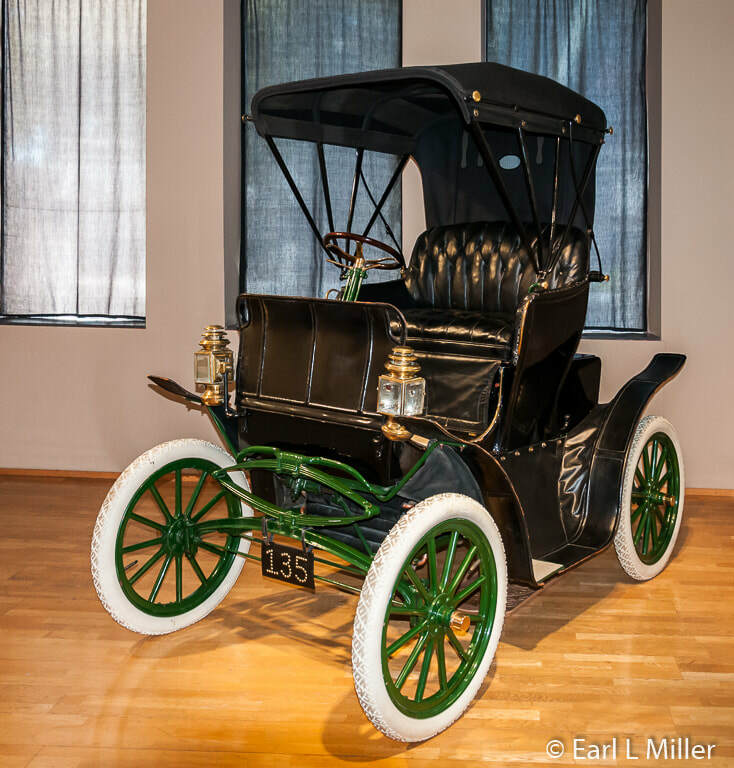 On the second floor is a 1907-1908 Jewel automobile built by Forest City Motor Car Company in Massillon. It’s a Model “E” Stanhope that originally sold for $800. Visitors will find upstairs the museum's temporary exhibit on “Paul Brown, Innovator.” It is on display through January 21, 2018. Although many recognize Massillon native Brown as the former Cleveland Browns coach, they may not realize that he contributed many new ideas to the sport. He invented the football playbook, first protective face mask, and first radio transmitter inside the quarterback’s helmet. He introduced the idea of pocket protection for the quarterback and developed the booster club to support players in need. Brown was the first coach to use game films to scout opponents and as a coaching tool in the classroom. Working with his players, he tested them on their knowledge of the playbook and used the 40-yard dash to evaluate their speed and ability to catch punts. He hired a full-time staff of assistants, assigning them to manage various positions. He called plays from the sideline via hand signals and used messenger guards to relay plays from him to his players. He was the first to use the draw play, taxi squad, and zone defense. Finally, he kept his players at the same hotel when they traveled out of town before the game. Over the years, he influenced many coaches. We saw a coaching tree that listed many of these. Among the names we recognized were Don Shula, Bud Grant, Weeb Ewbank, Buddy Ryan, and Bill Belichick. We also spotted several interactives. You could look in a mirror which had an outline of the Brown face mask compared with a modern helmet to see how both fit you. You could test yourself to match five formations on film with six diagrams on paper. The museum’s highlight is the Immel Circus. It’s a 1930s circus represented as if time had stopped. 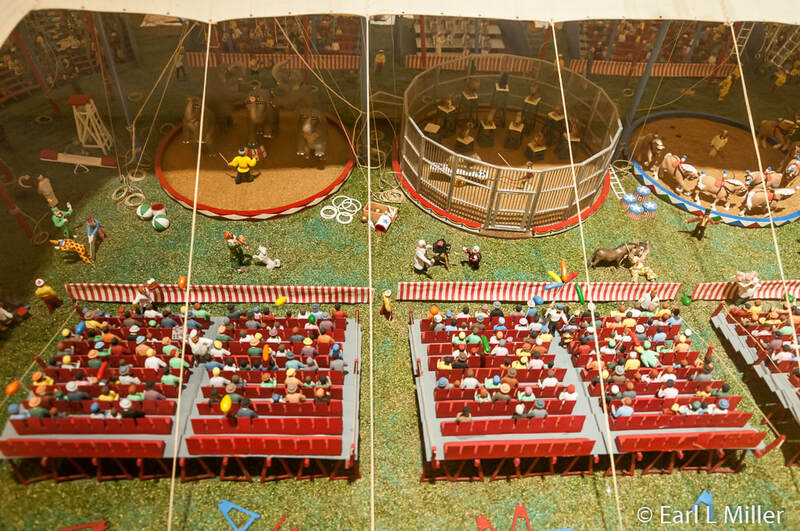 The 100-square foot miniature circus contains 2,620 pieces of plastic, wood, and metal. This includes 36 elephants, 186 horses, 102 assorted animals, 91 wagons, seven tents, and 2,207 people. Most were hand-carved by Massillon, Ohio resident Dr. Robert M. Immel, who used tools from his dental practice. Others were handcrafted by friends and retired circus performers. Immel’s inspirations were his boyhood trips with his uncle to see the circus. Immel started his carving in 1946 and continued it for 50 years. His favorite piece was the eight-horse liberty act that is located in the far right ring of the big top. The liberty act was named because the horses were free to move about. He carved them out of mahogany and soon discovered he was allergic to the wood. He had to get allergy shots twice a week so that he could continue his work. It took him six weeks to finish carving the horses. His last carving was a seven-piece elephant mount. In 1995, Immel donated his circus collection to the Massillon Museum. 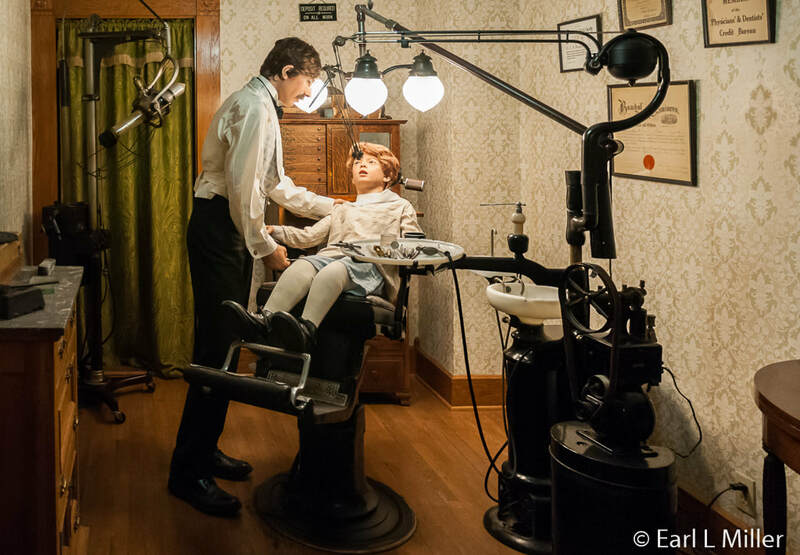 It was formerly housed in his dental office along with more than 1,400 circus related artifacts. His collection includes 115 photos of circus sideshow acts, 550 circus letterheads, 128 books, costumes, figurines, posters, 256 circus programs, and 357 miscellaneous circus photographs. It also has letters that he sent to performers. You’ll see posters on the walls of different circuses: King Bros., Barnum & Bailey, Wallace-Clark, and Hagen Bros. The models of cast-iron circus wagons caught our eye. Freak show photos are of such personalities as Grace Albery, a bearded lady, and John Aasen, world’s tallest man at 8'9" and 503 pounds. Immel’s favorites were the Tom Thumb clothing and wedding album and P. T. Barnum’s gold-tipped cane. 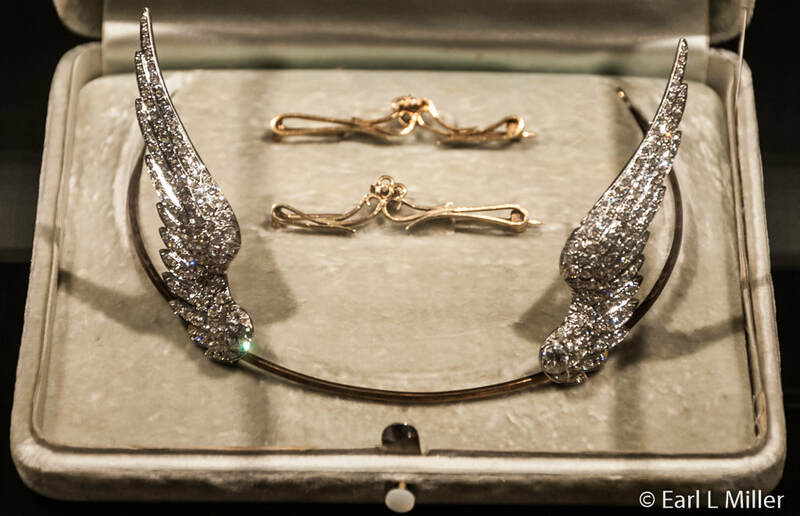 On display are Gunther Gebel Williams’ jeweled collar, tiara, and costume tights. They have a photo of Williams with his tigers. Visitors will also spot a yellow ostrich feathered plume from Jack Joyce’s original act of two camels, two llamas, and a zebra. Take time to watch the films from the Library of Congress of the various circuses. Included is footage from Buffalo Bill’s Wild West Show in 1902. Films from 1894 include Annie Oakley, a buffalo dance, and a Sioux Ghost dance. There are scenes of Coney Island, New York in 1903. 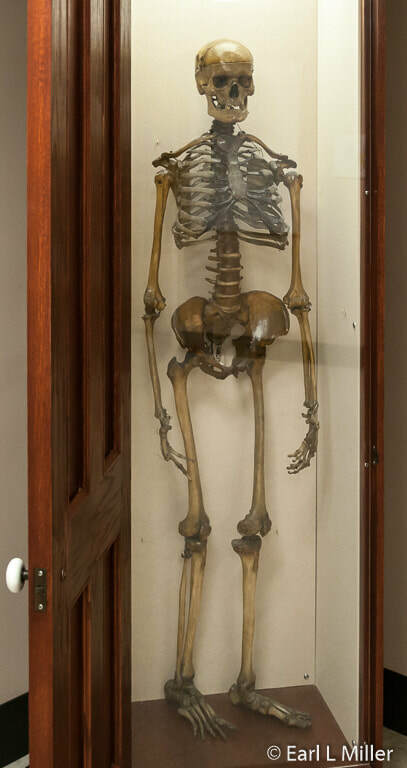 One permanent display, on the first floor lower lobby, behind a door that opens, is Oscar the skeleton. He was a man about 40 years old, and there is no record on how he died. Donated in 1934, the skeleton was at one time a resident at the Massillon Public Library. The Massillon Museum is found at 121 Lincoln Way E, Massillon, Ohio. The phone number is (330) 833-4061. Admission is free. Hours are Tuesday through Saturday 9:30 a.m. to 5:00 p.m and Sunday from 2:00 to 5:00 p.m. Anderson’s in the City, in the museum lobby, offers light fare and a full menu of coffees, teas, and smoothies. 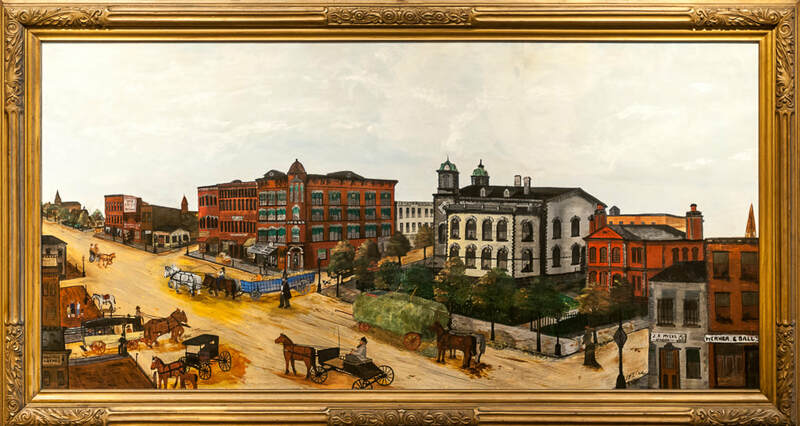 Founded in 1935, the Canton Museum of Art’s mission is to encourage and promote the fine arts in the Canton area. It provides 12 to 15 changing shows, including three major exhibitions each year, in a gallery space of 10,000 feet. In addition to a main display, visitors often find two smaller exhibits by regional artists and works from the permanent collection developed around a theme. An annual juried art show by local high school students in Canton and Stark County is one of these. The museum offers a variety of art lessons for all ages. These include drawing, jewelry, painting, photography, and pottery. Printmaking and textile classes are also provided. Special art events occur throughout the year. “First Stop First Friday” is held every month. The Christkindl Market is a juried arts and crafts show attracting 100 nationwide craftsmen. It has been held for 40 years. The permanent collection focuses on American works on paper from the 19th through the 21st centuries. Important categories are American watercolors, drawings, and prints. It also concentrates on contemporary ceramics from the 1950s forward. A major gift was the Ralph L. Wilson Collection of 40 outstanding works on paper by American artists. Five of these were noted American watercolorists: Charles Demuth, Lyonel Feininger, John Marin, Alfred Maurer, and Maurice Pengergast. 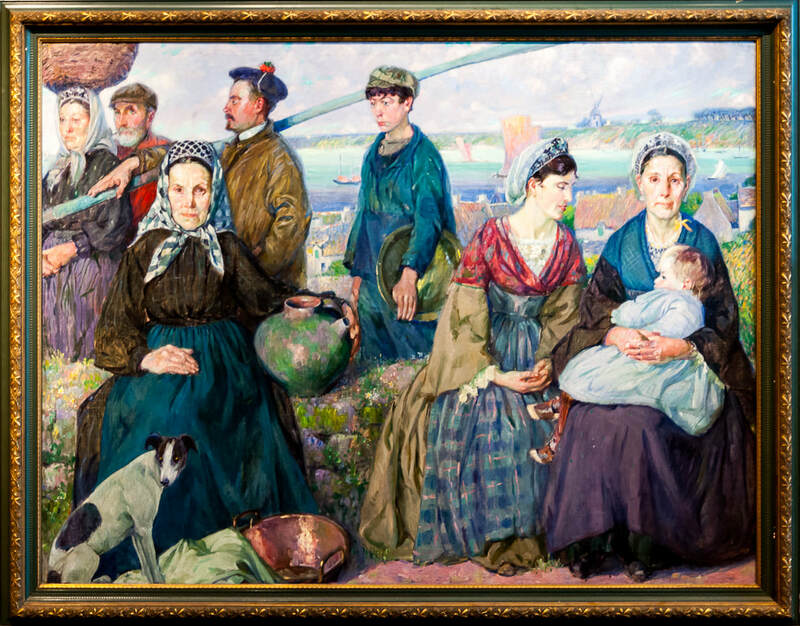 The museum also has masterpiece watercolors by Winslow Homer, John Singer Sargent, and Edward Hopper in addition to work by Thomas Hart Benton, Andy Warhol, August Biehle, Andrew Wyeth, and Jamie Wyeth. When we visited, the show was “Scrimmage Football in American Art.” It was organized by the Gregory Allicar Museum of Art at Colorado State University and the Jorden Schnitzer Museum of Art at the University of Oregon. It was how artists such as Winslow Homer, Frederic Remington, Andy Warhol, Tod Papageorge, and Norman Rockwell portrayed the game of football via art over the past 150 years. 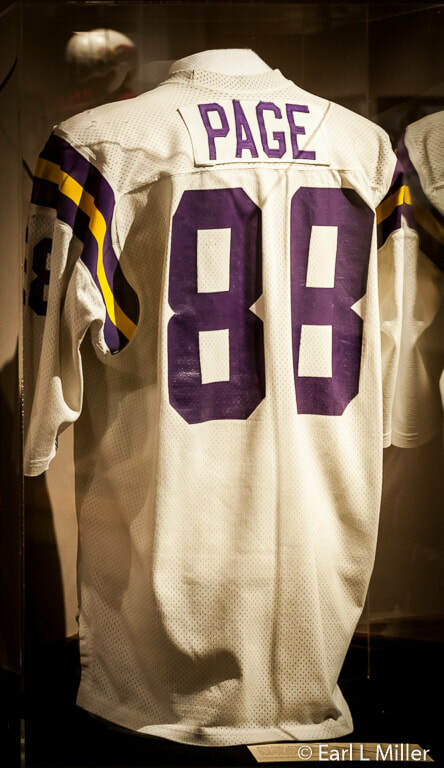 It contained apparel from players who started their football in Stark County such as Alan Page’s jersey. He was a former defensive tackle for the Minnesota Vikings. They also exhibited Dan Dierdorf’s entire uniform. He was an offensive lineman for the St. Louis Cardinals and became known for his sportscasting ability. Marion Motley’s contract, shoes, and photo of him with Paul Brown were exhibited. Motley played fullback and linebacker for the Cleveland Browns. “Scrimmage” was portrayed in a variety of mediums: Saturday Evening Post covers, black and white photography, sculptures, prints, cartoons, and football cards. It was not an exhibit on the history of football but dealt more with cultural themes such as violence, gender issues, class and race, the strenuous life, and celebrity culture. It featured almost 80 artworks. We also viewed “Salon Style” from their permanent collection vault. In this style, works were hung higher and lower than eye level and in large groups rather than in a single row. The Salon in Paris started the trend in 1737. More than 200 pieces were on display. Six sculptures called “Dark Forms” by Tom Bartel, Professor of Ceramics for Ohio University, filled one room. These were all sculptures devoid of color and pattern. He depicted human forms. African American art from the permanent collection is currently featured at the museum. This is being done in conjunction with the wood carvings of Elijah Pierce, a prolific African American wood carver. The exhibit also showcases African American paintings and ceramics created between 1945 and 2010. Another gallery display is titled “American Masters: Watercolors” with the works of seven masters from the permanent collection. 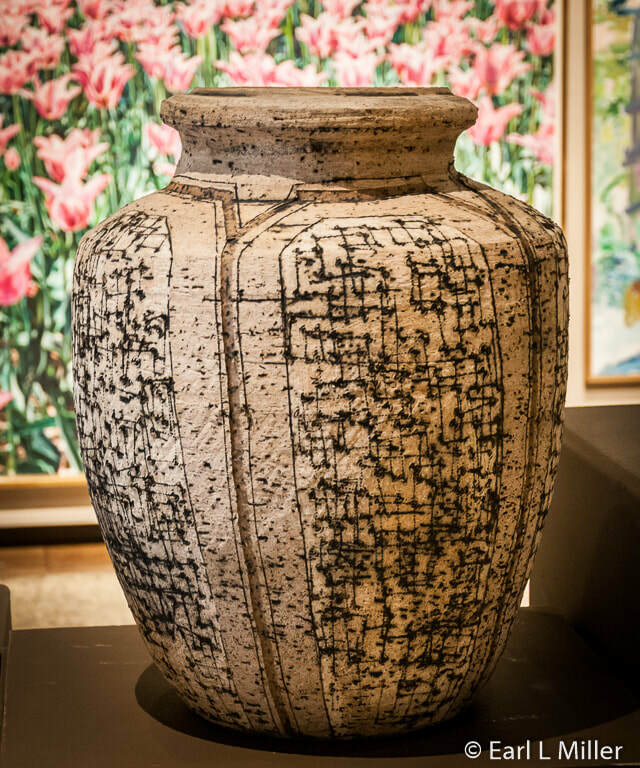 “Fire and Water Ceramics and Watercolors" and “Engraved Fields: Jack McWhorter” complete the show. All are on view from November 24, 2017 to March 4, 2018. ​Much of the artwork from their collection is on line. To see the various pieces and learn about the artists who produced them, you can visit their web site. The Canton Museum of Art is located at the Cultural Center for the Arts at 1001 Market Ave N., Canton, Ohio. Their telephone number is (330) 453-7666. The museum is closed on Monday. Tuesday through Thursday hours are 10:00 a.m. to 8:00 p.m. while on Friday and Saturday, the hours are 10:00 a.m. to 5:00 p.m. On Sunday, the museum is open from 1:00 to 5:00 p.m. Regular hours don’t apply during exhibit changeovers or in special event periods so it is best to call ahead to see if they are open. They do close on most major holidays. Admission is $8 for adults; $6 for seniors, students, and military veterans (60+ and students and veterans with valid ID); and free for children ages 12 and under. Free admission is offered every Thursday and the first Friday of every month. Parking is in front of the museum and is free. 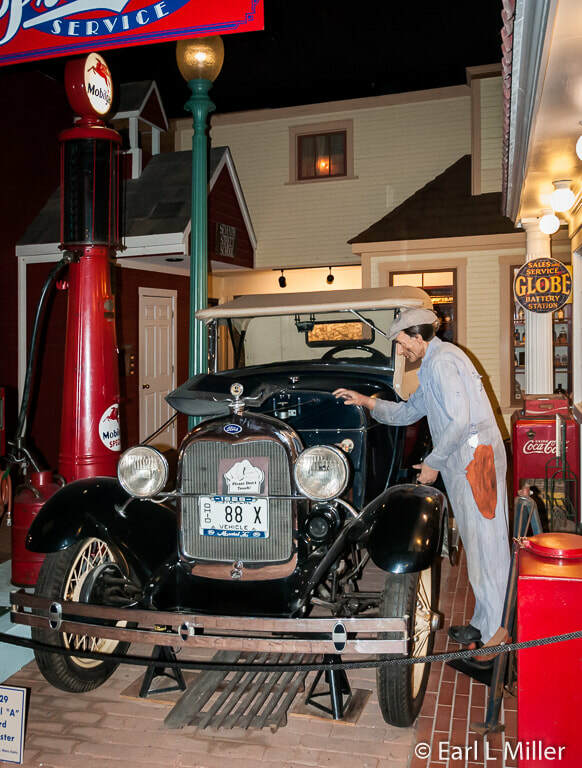 Visitors should plan to spend several hours at this extensive museum which combines the history of Stark County, largest collection in the world of McKinley artifacts, a Street of Shops, a hands-on science center, and a planetarium. It’s a family-friendly attraction which all ages will enjoy. We started at the Hoover-Price Planetarium by viewing a half hour show. The planetarium opened in July 1963. Richard Emmons was the primary influence in its design and development. 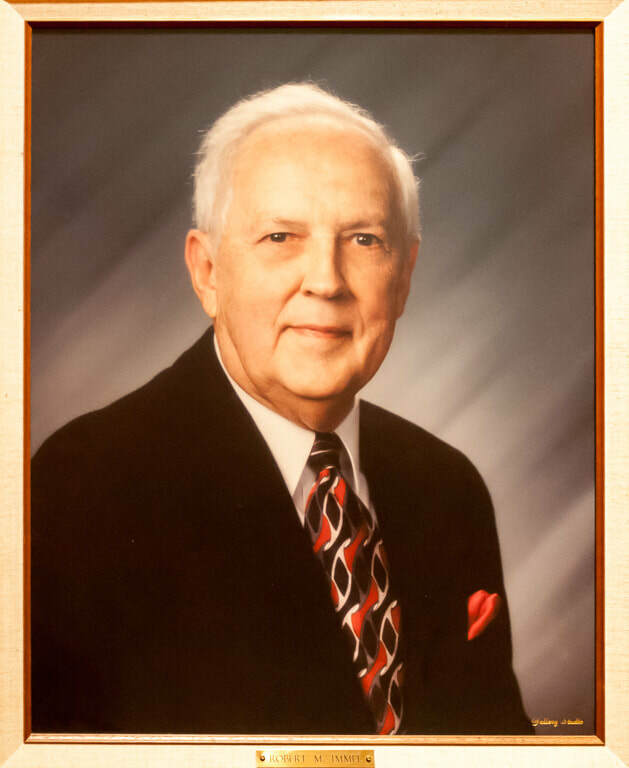 He was a senior engineer at the time in the Aeronautics Department at Goodyear Aircraft Corporation and had been past program director and lecturer at Morehead Planetarium at Chapel Hill, North Carolina. The planetarium houses 60 different projectors depicting the Aurora Borealis, a meteor shower, an asteroid, phases of the moon, dozens of constellations, snow, and more. Its primary projector is a Spitz A3P that was modified to show 5,000 stars instead of the standard 3,000 stars. We saw a presentation on what was going on in the August night sky. It also touched on space exploration including a photo of the eclipse from the International Space Station. Thirty minute shows are offered weekdays by reservation with public presentations held every Saturday at 1:00 p.m. and Sunday at 2:00 p.m. year round. During the summer, shows are held at 1:00 p.m. Monday through Friday. Shows are included in the admission price. Children must be at least five years old to attend. 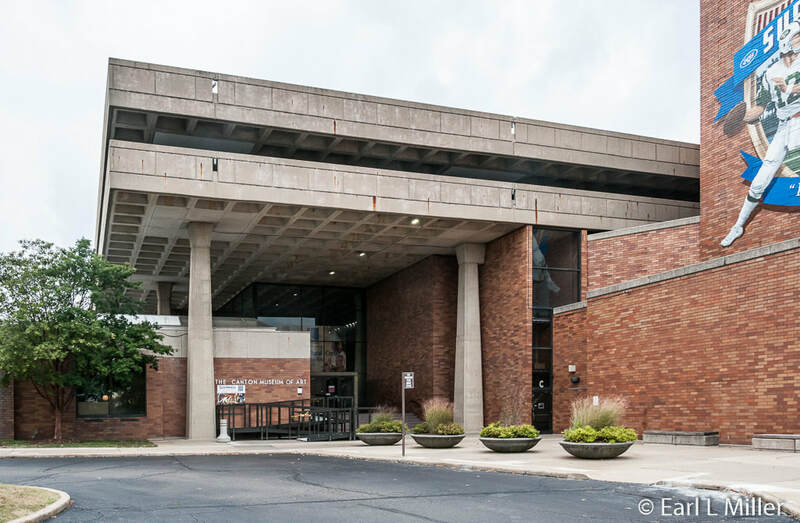 This section of the museum opened in 2009 and relates Stark County’s history via decade-sized chunks from the area’s founding in 1805 through present day via artifacts, photographs, and interpretive audio programs. It contains four themes: lifestyle, culture, innovation, and transportation. We learned that Stark County was named after John Stark, a Revolutionary War hero who never visited the area. Canton became the county seat in 1805. Belden Face Brick Company is one of Stark County’s oldest manufacturers. In 1876, Henry Belden went to the Centennial fair in Philadelphia where he observed the original stiff mud brick making machine. Inspired to make paving and fire brick, he formed his company which was later named Belden Brick Company. Despite financial disasters in its early years, the company eventually became successful. Henry’s product was the first known use of paving brick in the city of Canton. Another section, “The Importance of Transportation” covers the Ohio & Erie Canal which came through Massillon, Navarre, and Canal Fulton. Because of the canal, each town developed warehouses, gristmills, and stores. The display has a map showing the spider web of railroads which ran through the area starting in 1851. The Civil War case contains a drum, Union uniform, and a Confederate canteen. The Underground Railroad was big in Stark County with the Spring Hill home in Massillon being a major refugee center. Another display is on post Civil War culture which fostered three opera houses including the 1868 Alliance (Ohio) Opera House and Massillon’s 1870 Jacob S. Bucher. The Bucher was the largest of the three. It was razed in 1966. The next influx was industry. Timken Roller Bearing was the largest firm. Others were Republic Steel, Diebold Safe Company, Hoover, and Dueber Hampton Watch Works. 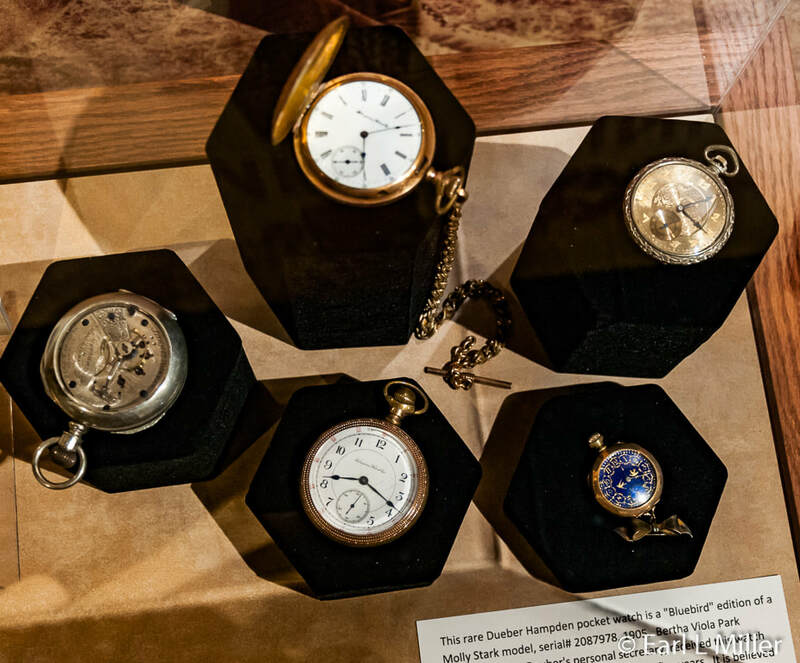 A watch case and watch movement are on display. They also have a Holmes car and Hoover vacuum cleaners. One exhibit is on Gibbs Manufacturing Company. 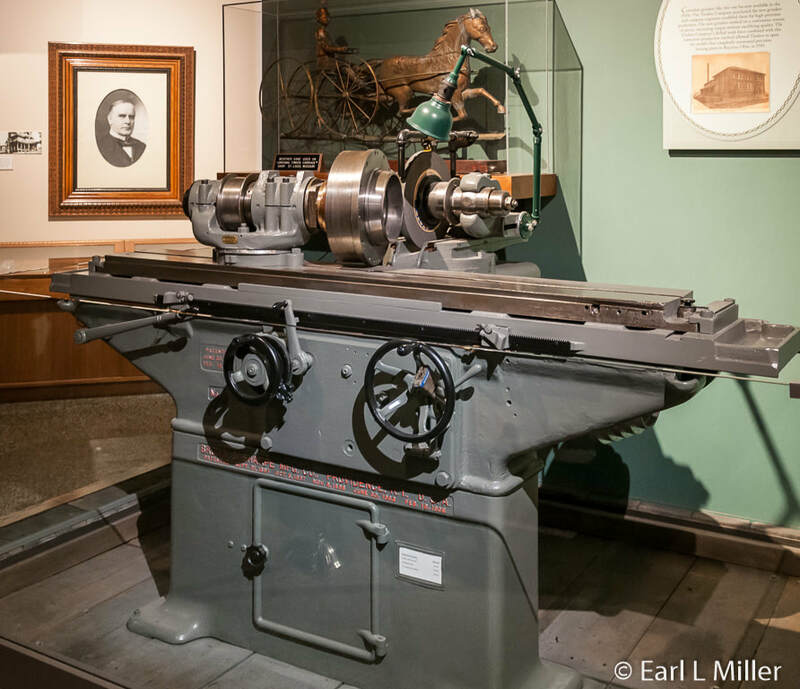 It was Joshua Gibbs who designed a plow with a curved blade. He patented the Barshare plow. 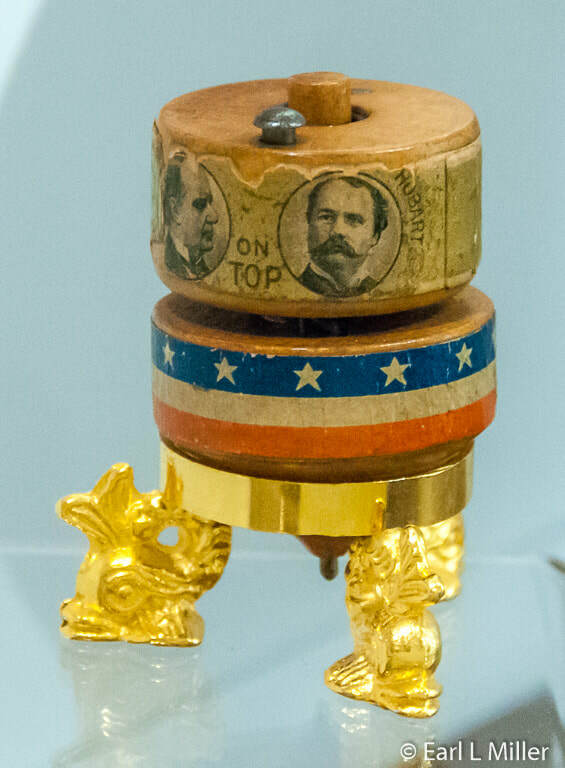 McKinley asked Gibbs to make spinning tops for his campaign which led to the company becoming best known for their vintage toys. When those dwindled, they started making embroidery hoops in 1986.The company was still around in 2000. Another section speaks of the role Canton’s industries had in World War II. Timken made roller bearings while Diebold produced armor plate. Hercules made engines, PT boats, and tanks. The Hoover Company manufactured plastic helmet liners and variable time fuzes. In the successful execution of the war effort, Hoover’s highly secret time fuze was considered second in importance only to the Manhattan Project. One interesting piece is the transitional piano. It represents the transformation from harpsichords and grand pianos to upright pianos. In 1858, Henry Beatty of Massillon, Ohio purchased the piano for his five-year-old son Harry. All hammers, etc. are vertical so it has a tin type sound. 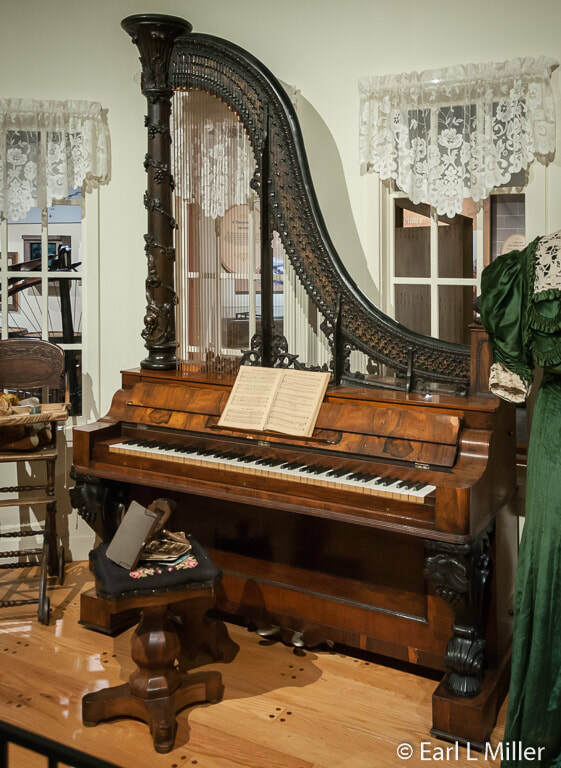 It’s one of only eight of such pianos known to exist in the United States today. Some of the displayed artifacts are the Laffing Lady from Canton’s former Meyers Lake Amusement Park, dresses from the 1890's and 1930's, and a video of a canal lock in operation. An Edison phonograph, a high chair that converts to a stroller, dishes produced in Canton, and antique glasses are displayed. 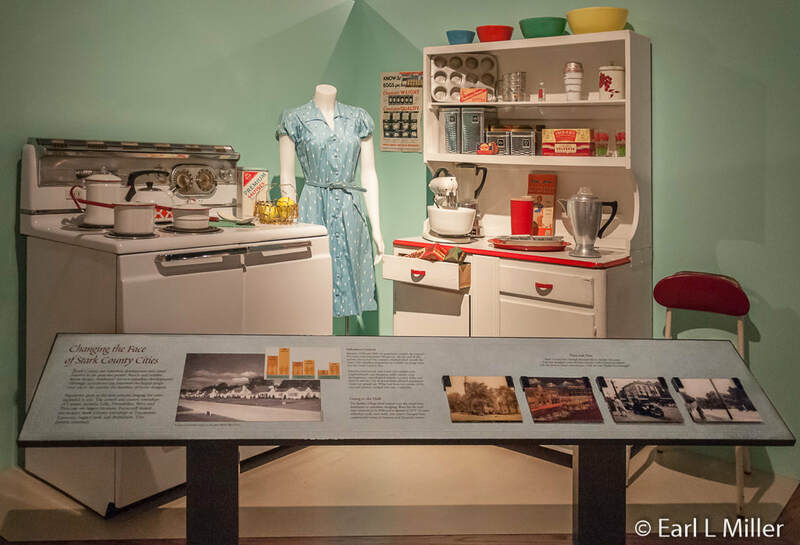 Visitors also see a 1950's kitchen, information on Stark County industries with patent models, a high wheeler bicycle, and more. One highlight that families enjoy is taking a ride on a Timken roller bearing carousel which depicts how much easier it is to spin when bearings are engaged. The museum’s Street of Shops is extremely well done. It recreates life in Canton from 1805 to the 1950's. Storefronts include the Gibbs Manufacturing Company, blacksmith shop, photographer’s studio, doctor’s office, the Eagle Hotel, saloon, and fire station. You’ll also see a gas station, lawyer’s office, cabinet shop, and barber shop. You can enter some of the shops such as the toy shop, B. Dannemiller and Sons general store, and J. Saxton and Son print shop. The fire station has an 1888 Ahrens pumper. The Pennsylvania Railroad led to Canton’s development as the city was a major distribution point. The Street of Shops’ train station has a huge HO model train layout. It recreates, in miniature, various Stark County railroad stops during the 1940's and 1950's. 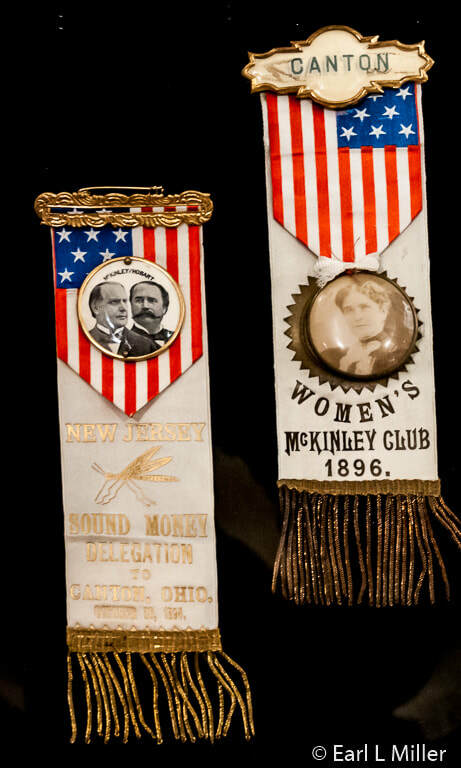 Using objects and images, this gallery chronicles the life and career of the 25th president, William McKinley, from his birth to his assassination. It also includes the construction of the McKinley National Memorial and the fate of his North Market Street home where he conducted his “front porch” presidential campaigns. 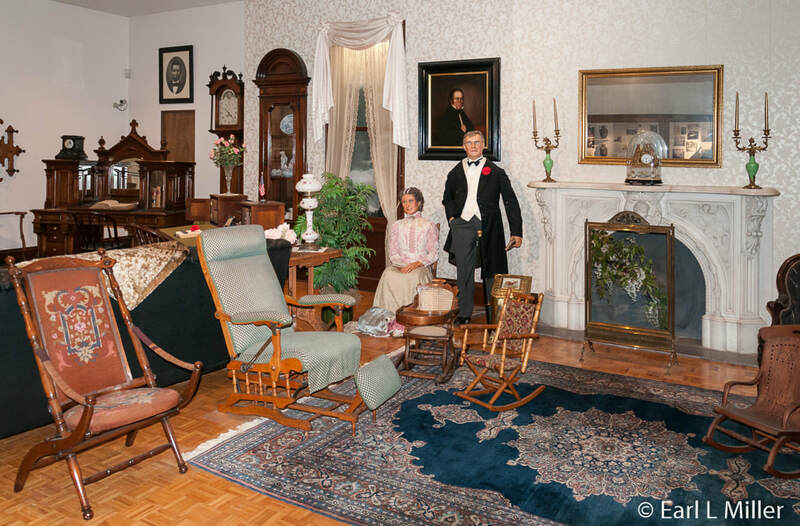 Visitors find extensive original furnishings used by the McKinleys. These include furnishings from his law office 1867-1875, ones from their North Market home, and items and furnishings from the White House. You’ll see his rocking chair and his piano. Reminding me of Disney are the animatronic figures of the McKinleys among some of the home furnishings. An interactive kiosk allows you to choose a closer look at the artifacts, film footage of his funeral, and the building of the monument. Artifacts in five cases were his with the exception of the reproduction of the phone from the White House. 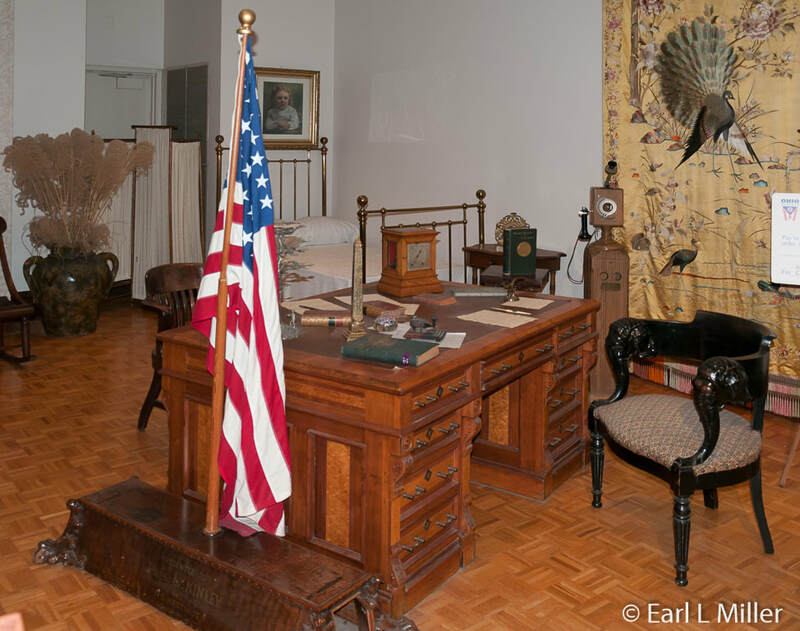 It has 1896 presidential campaign memorabilia including one of the Gibbs tops. The gallery also includes Ida Saxton McKinley’s gold and diamond tiara which they bought at cost from Rick Harrison of the hit television show Pawn Stars. Another case has gifts he received while in the White House such as Paraguayan lace given to Ida, a candy dish and presidential dinnerware. The fifth case contains the nightshirt he wore while dying, a .32-Iver Johnson revolver which was the type of pistol which killed him, mourning ribbons, and photos of the monument’s construction. They also have 20 of Ida’s dresses. 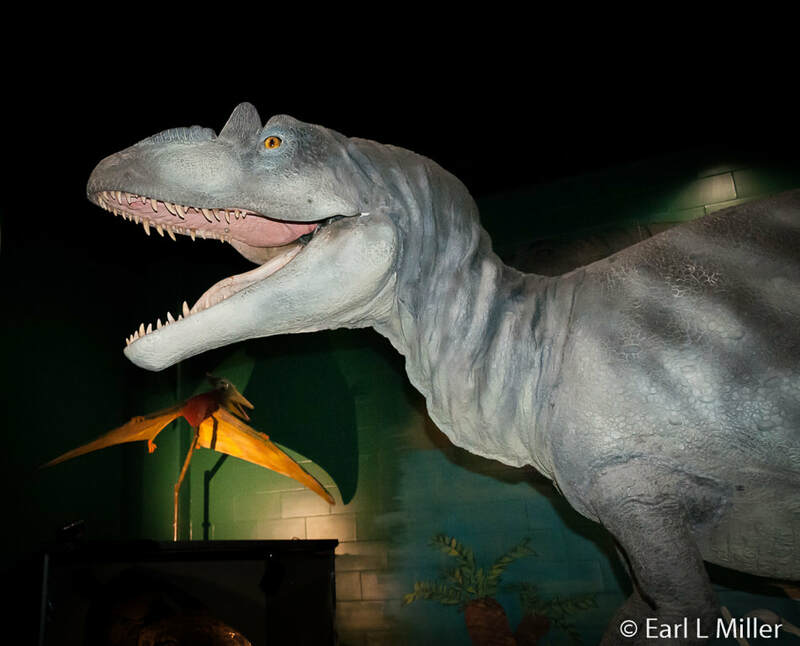 Alice, an animatronic allosaurus at the Natural History Island, welcomes visitors to this section of the museum located downstairs. You can participate in a simulated fossil dig with reproduction fossils from the Mesozoic and Paleozoic eras. Take time to admire real mastodon tusks unearthed during the excavation for a Canton apartment building and to see a Mosasaur fossil once embedded in an old sea floor. Other displays are on the Ice Age as well as rocks and minerals. See the replica of a Paleo-Indian hut recreated from information gathered from Nobles Pond in Jackson Township. These Indians resided there around 11,000 years ago. At Ecology Island, you will find ponds alive with fish and turtles. In cages, you will also find snakes, insects, and amphibians. The Island provides a closer look at life on land and in the water while teaching why ecosystems are important to maintaining nature’s balance. Visitors will also learn how ecosystems work. Highlights are the numerous interactive displays dealing with physical science at Fascination Station. You can capture your shadow, experience electricity, and become informed on the properties of light and magnetism. It also has displays on renewable resources such as solar and wind. 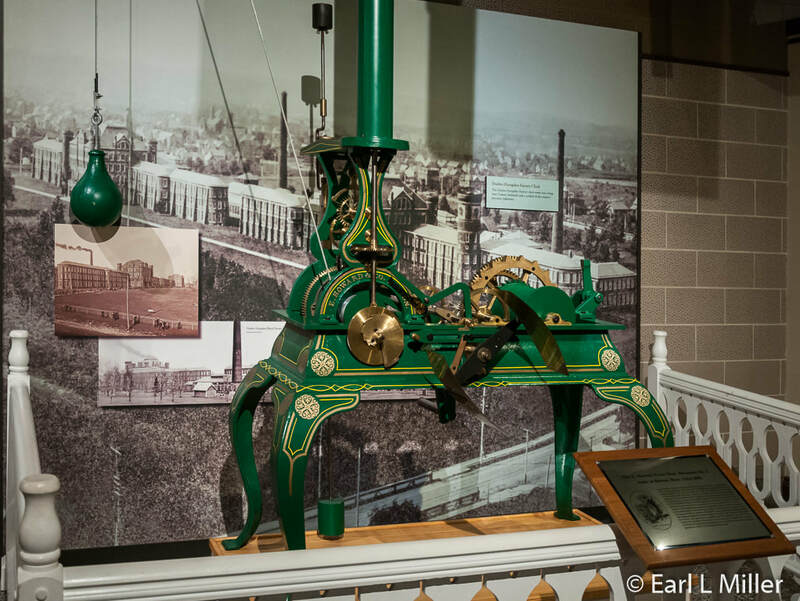 Interactive exhibits allow visitors to be a human power generator, view a tornado, experiment with types of pulleys, and design their own dream house. Visitors can test their skills against robots. There is an interactive to play tic-tac-toe with a robot and another where visitors control a robotic arm and compete against another robotic arm. 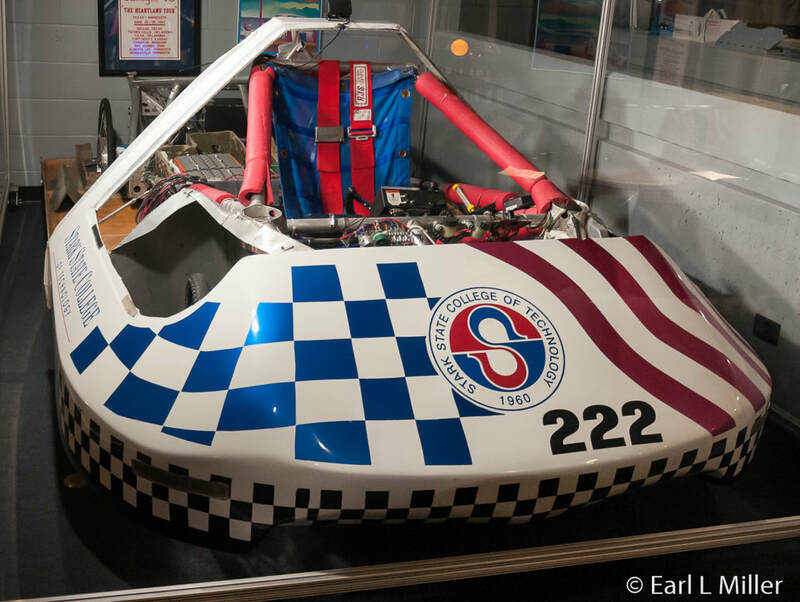 On display is a solar energy car built by the Stark State College of Technology in 1960. Finally, this section has a demonstration area at each end where science shows take place on weekends. The Keller Gallery is the home of the temporary displays which include traveling exhibitions from the Smithsonian and other institutions. The focus can be on art or history. When we visited in August, we enjoyed seeing the “Mom, What’s That” exhibit. It had artifacts dating between 1970 and 2000 such as an electric typewriter, clock with hands, non digital cameras, record players, VHS tape, library card catalog, carbon paper, rotary phone, and more. These were items that parents and grandparents would recognize but which would mystify children. On view now is “The Pan-American Exposition: Triumph and Tragedy in the Queen City.” This exhibition explores what happened in the eight days between the assassination and McKinley’s death. It also examines the Exposition itself. Visitors learn what it was, why it was held, and what new technologies were on display. It’s on view through February 20, 2018. This will be followed by “Frank Lloyd Wright: Architecture of the Interior,” a traveling exhibition that explores his house designs. It will be on from May 11 until October 21, 2018. The museum is located on the grounds of the McKinley Monument at 800 McKinley Monument Dr NW, Canton, Ohio. Its telephone number is (330) 455-7043. Hours are 9:00 a.m. to 4:00 p.m. Monday through Saturday and noon to 4:00 p.m. on Sunday. Admission rates are $10 for adults, $9 for seniors ages 60 and older, and $8 for children ages 3-18. Ages two and under can visit for free.